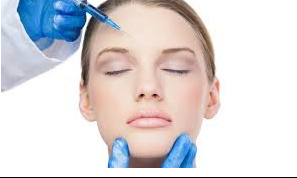 Botulinum Toxin Injections – This is a simple, non-surgical aesthetic procedure that smoothes facial lines caused by wrinkles and active facial expression. One 10 minute – treatment (at Revitalab Medical Aesthetic Clinic situated in Brooklyn, Pretoria) with a very fine injection will relax the facial muscles that cause those lines to form and keeps them relaxed for up to four months. For many men and woman Botulinum toxin injections virtually erases these lines and dramatic results are apparent within a few days from receiving the treatment. 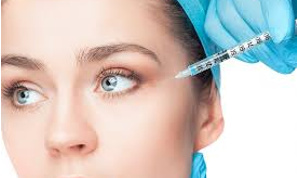 Thousands of appearance-conscious woman and men from all walks of life already discovered the benefits of Botulinum toxin injections at Revitalab Medical Aesthetic Clinic, situated in Brooklyn, Pretoria. 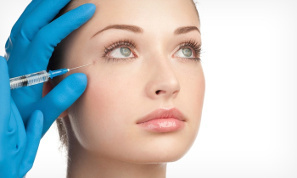 Unlike surgery, Botulinum toxin injections are minimally invasive, simple, requires no recovery time, and conveniently fits even the busiest schedule. At Revitalab, situated in Brooklyn Pretoria, we use only top-quality Botulinum toxin injections ensuring the best results with all treatments done at our medical aesthetic clinic, based in Brooklyn Pretoria. Various types available according to the area and individual needed. customised to achieve the result you need and could consist of a single or multiple treatment such as Botulinum toxin injections, Dermal fillers, chemical peels, micro needling, carboxy, light-based treatments and radiofrequency. At Revitalab medical aesthetic clinic (situated in Brooklyn, Pretoria) medicine and science meet. The result? Treatment that has multiple advantages. As most headaches (including migraines) present with muscular spasm to a more or lesser degree, relief can often be found using Botulinum Toxin Injections in varying doses. A huge benefit of it is that it can be customised for localised treatment to the specific musculature that is affected. And of course, the cosmetic benefit of it is a welcome side effect. More than 1% of all people suffer from excessive sweating and it can affect the hands, feet and face. This condition can be socially debilitating and could even cause social withdrawal and depression. A relatively simple and painless procedure, Botulinum Toxin Injection treatments can provide long lasting (6-9months) relief. This treatment is very safe and does not cause any long-term side effects. At Revitalab, Brooklyn Pretoria this treatment takes no longer -minutes, with no down time required afterwards.